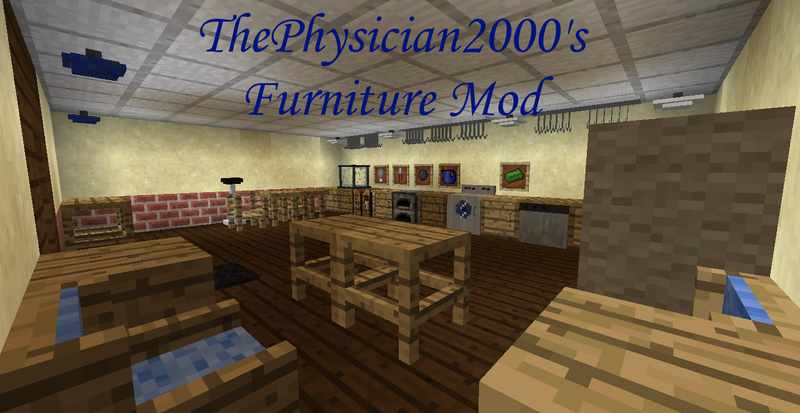 [WIP] [Updated 2015/7/28] ThePhysician2000's furniture mod: Comming soon! This is all I have so far, and I plan to add more. Showcases/Spotlights are permitted, but again: LINK BACK TO THIS POST. Why is this in beta? Simple: many things I am using are a half a** job. Until everything is working smooth and like I intend it to, it'll be in beta. Does this mod work in 1.7.2? Yes. I can't craft anything! Recipes are only half working. 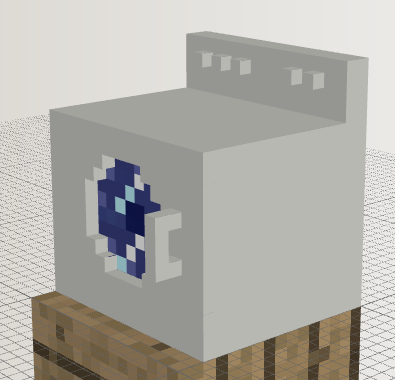 Use NEI or Craftguide (press 'g') to learn recipes. Otherwise, wait. Why are there missing textures? You are using an older version. Update to 1.2.0.0 or later. 1. Do not decompile or modify the source code unless advanced permission has been given from The Owner. 2. Do not claim the work as your own. 2. Never make money from my Mod. 3. Always private message The Owner of the usage of the mod, even if the mod pack is not finished. 4. Always private message The Owner once you have compiled and released your mod pack. This mod looks good, I'll try it. Wait a second, there isn't any download link! Oops! Forgot to add that it is in CLOSED ALPHA. Sorry! Hi physician, cant wait for this mod. Seems quite epic. Hello again, 18lala. I remember you from the Dalek mod forum. Hopefully, the textures should be done by tomorrow! Edit: New pictures are in the spoiler! 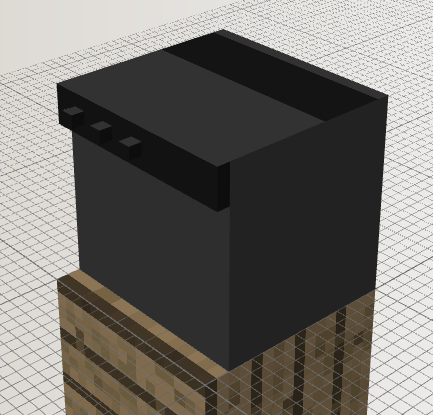 Sorry about the triple posting, but here is another update: we have MODELED BLOCKS!!! I currently have a Ladderback chair and a Washing Machine with a window on the side. I may not have an update for you tomorrow, but hang on: I will be updating this forum at least weekly. 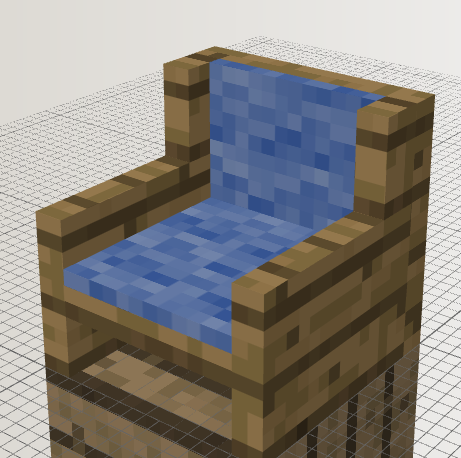 can you also make this for 1.7.2 while you at it? It seems as though a lot of people want a 1.7.2 version as well as one for 1.7.10, so we'll see if I can get a cross-version mod; and if not, I still will try to get a 1.7.2 version. It's 16 x 16, so you can have multiple tables linking together without any seams. Crayfish's Furniture mod got nice linking tables too, but the more the better. 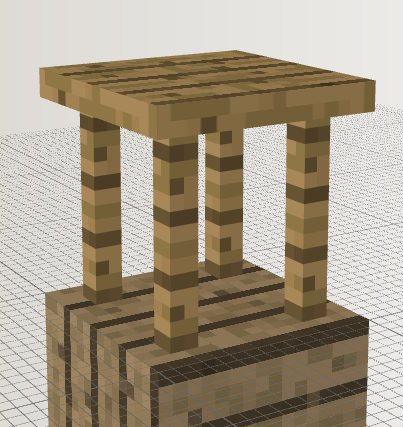 Could you make a screenshot of 2 or more tables next to eachother? Nice work on the dishwasher, but wheres the shot of the connected tables? Yeah, they connect very well. 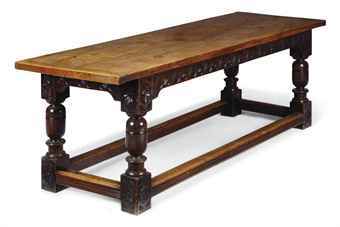 By the way: Is it a dining or decorative table? 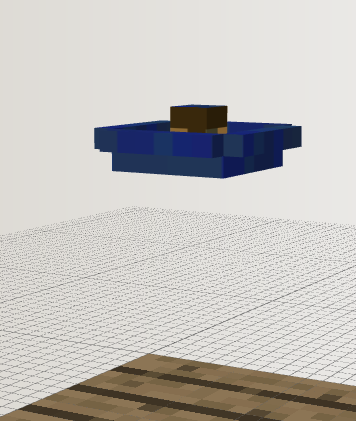 Cause the lower horizontal boards may be (visually) blocking a sitting steve's legs or it may just look weird. 1. The lower boards on the table are a little bit higher, as to act as a foot rest. I can make the current table a Refectory table, and make another *simpler* dining table, or lower the cross-beams a bit, if it makes you happier. 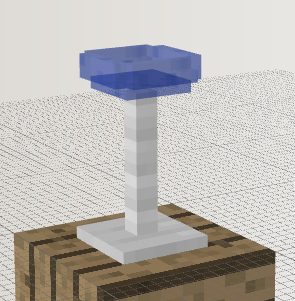 Seriously, as a decorative table it looks really nice. Good for placing a flower pot, a fish bowl or anything. If you want to add a "real" dining table, you may want to choose a different design than Crayfish's simple table for variety. 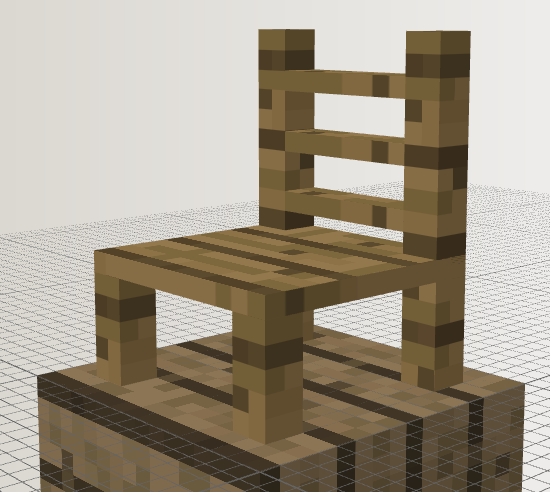 It would be cool if all your wooden furniture items could be crafted in different wood types (birch, oak, etc.) 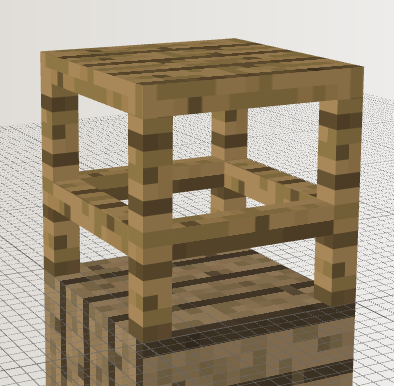 and Biomes of Plenty wood support would be really awesome. 1. 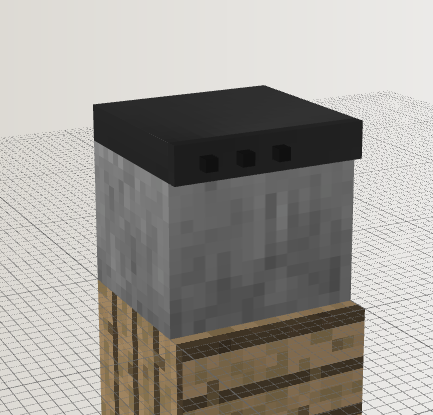 That is actually the main reason I am creating this mod; it is actually going to be based more or less around them. 2. I wasn't thinking of copying his models. 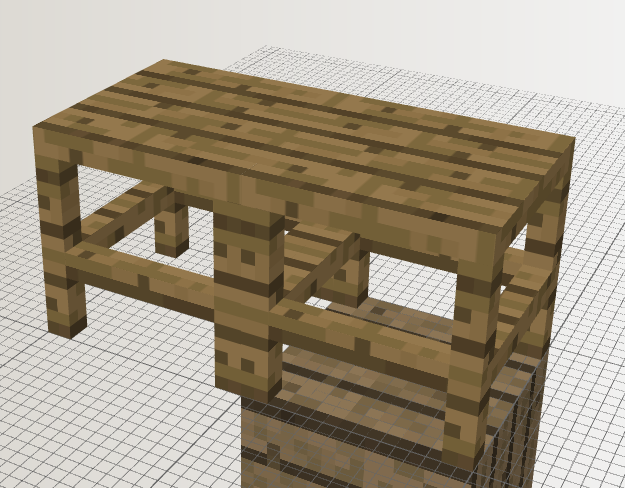 I was going to make a similar table with no crossbeams. 3. That probably wouldn't be too hard. 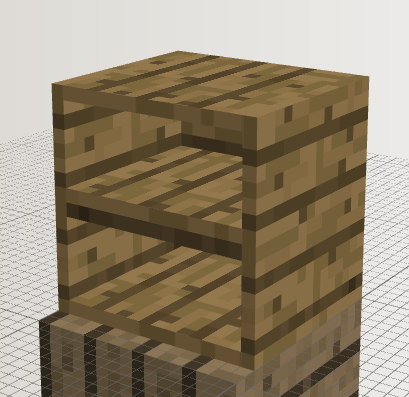 All I'd have to do is use the models with different textures for each wood. I know you arent copying anything, but because your and his tables are simple, there may be a chance that both will be quite similiar and thus one of them redundant. I guess it was better when the cross-beams were in their old position, but thats just my opinion. Okay, I have finally gotten tired of the Refectory table problems, so now we have a total of THREE tables: The original Refectory table, the new Refectory table, and the four-legged Child's table. Update 20/8/2014: NEW TEXTURES FOR DISHWASHER AND WASHING MACHINE, PLUS THIS END UP STYLE CHAIR, INDUSTRIAL STYLE FLOOR LAMP, BASIC CEILING LIGHT, AND SHELVES!!! 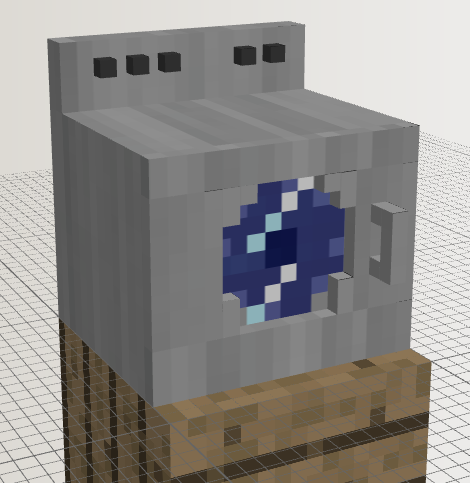 Lamps will produce light when right-clicked or with a Redstone signal. I also have a plan to change how paintings work. If I can get it to work, they will load any images from the paintings folder. It's closed alpha so no download link. Both of them not actually being problems, but rather necessary steps on its way to become an actual and playable mod. Be patient. Unfortunately, you're right. For the next few days, I will be inactive for the most part, so I can convince my mother to let me use my computer's coding account as my default account. I will be posting status updates. Wow, all of this stuff looks nice. Cant wait for downloads! Keep on the good work. It looks (and sounds) very promising so far. It shouldn't be too hard to get working. 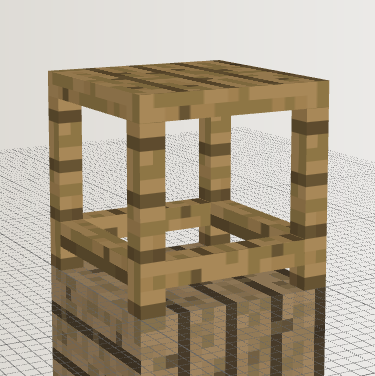 All that is required is to make a block, then edit/change the default model for it.